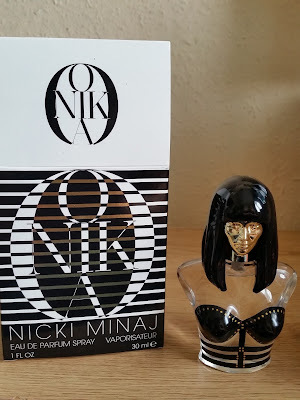 I was given Nicki Minaj Onika EDP as a birthday gift and was feeling intrigued to what this scent would smell like. 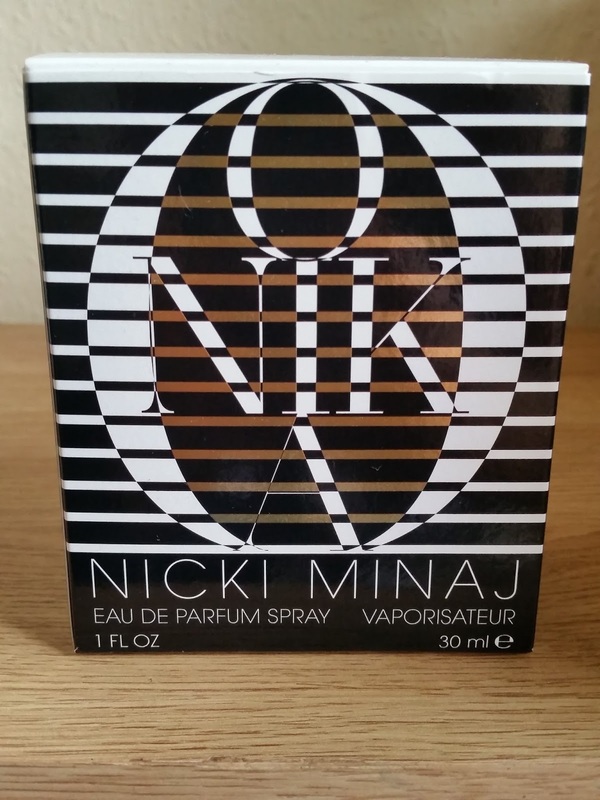 I haven't previously owned a Nicki Minaj scent but i am a fan of her music. 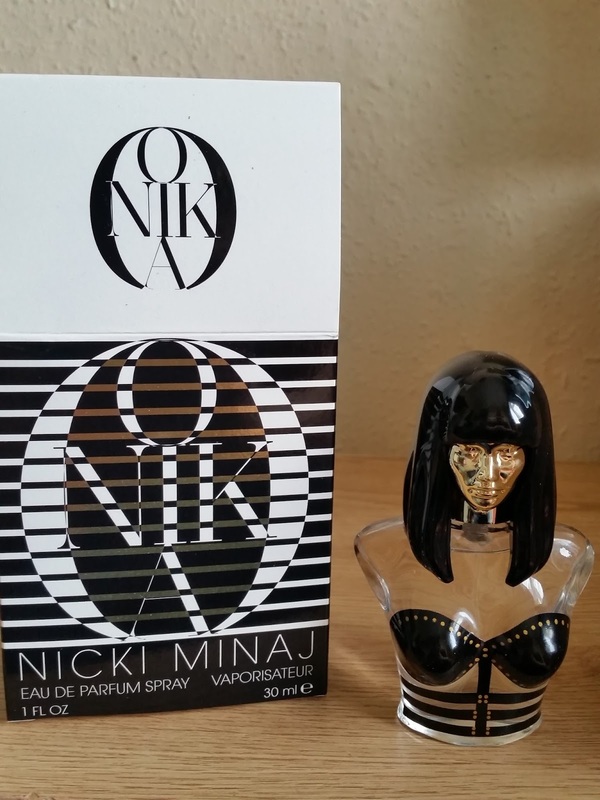 Onika comes in an interesting black, white, gold box which states Onika Nicki Minaj. The bottle is really interesting and is in a figure of Nicki herself with the head spray stopper being a gold face with black hair. What is also great is the bottle is clear so you can see just how much you have left.
" Smells like angels in the garden of perfection"
Sugar Cane, White Musk, Cedar Wood. Fruity, Sweet, Floral, Aquatic, Fresh. On first spray this is opens up with the fresh fruity notes inviting you in, the pear and starfruit get u smelling your wrist like, did this really come from the bottle? Water lily and especially the Osmanthus help stop the top notes from being too fruity. The Osmanthus brings a milky creamy apricoty note that gives this scent that special something! Even the base notes are well balanced with the sugar cane bringing the sweetness and the white musk softening this scent. in harmony and in respecting each other. This lasts all day and projection is really good! 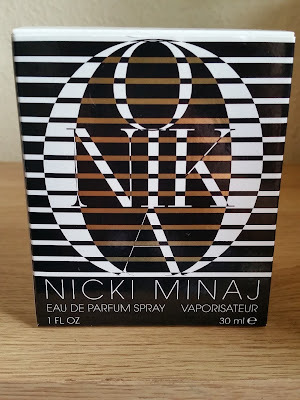 I must admit i was really surprised with this scent and i think Nicki Minaj has done really well with onika, its a scent with super bass!